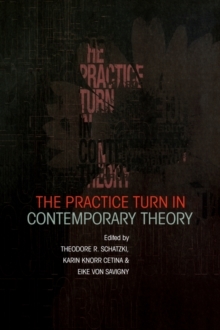 This book provides an exciting and diverse philosophical exploration of the role of practice and practices in human activity. It contains original essays and critiques of this philosophical and sociological attempt to move beyond current problematic ways of thinking in the humanities and social sciences. It will be useful across many disciplines, including philosophy, sociology, science, cultural theory, history and anthropology.